During one of your bi-annual dental appointments, a dental assistant will capture dental x-rays. Should you be worried about radiation exposure? While the amount of radiation required for a traditional dental x-ray is miniscule, now it’s even less. At Dr. Young’s Lafayette dental office, you’ll be exposed to 80% less radiation that that miniscule amount referred to previously. Why? Because we use digital x-rays, which are safer for patients and staff, eco-friendly, easy to store and transfer, and extremely precise. What Makes Digital X-rays Great? Digital dental records. In the past, almost any dental practice was teeming with folders filled with patient records. With the move to digitization, dentists can upload digital x-rays directly into an electronic file. Should a specialist or insurance company require a copy of the x-ray, we can share the files with ease. No more paper! No more mail! Digital dental x-rays and digital records make patient record keeping easier and more efficient than ever. Improved image quality. Traditional x-rays could sometimes appear fuzzy, which made detecting minute details a bit challenging at times. With digital images, precise pictures appear on a computer screen. Dr. Young can adjust the picture by enlarging it, changing the contrast, or even the color. Now we can identify details that were impossible to see in the past. Quicker results. Traditional x-rays required the dentist or hygienist to develop the pictures directly from film. This process could take some time. Today, however, digital x-ray images appear instantly on a computer screen. With quicker results, the appointment overall, takes less time. Environmentally sound. The chemicals used to develop traditional x-rays aren’t good for the environment. Supplies required were bulky, as well. 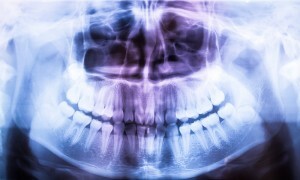 Digital x-rays require no chemicals, plastic, or other supplies. They just appear. If you have more questions or concerns about digital x-rays, talk to Dr. Young. He can explain the many benefits and answer all of your questions. To schedule an appointment, call us at (337) 237-6453. Also, visit our website for services, patient information, and to learn more about our team. We happily welcome patients from Pilette, Walroy, Long Bridge, Scott, Broadmoor, and neighboring cities.